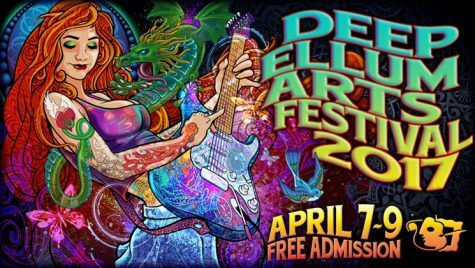 The eclectic streets of Deep Ellum were packed on Saturday for the 2017 Deep Ellum Arts Festival. 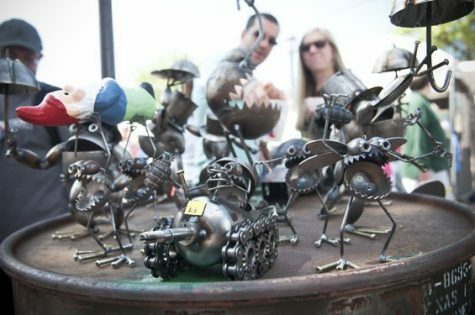 Artists from around the country showcased their unique creations under pavilions that stretched for blocks. Spectators, including myself, enjoyed the creative atmosphere as well as the antique stores and restaurants the neighborhood provides. Admission is free, which attracts people from around the metroplex. This made parking a nightmare; luckily, I got parking spot that only tested my parallel parking and not my patience. I entered the festival and was immediately claustrophobic from all the scantily clad people and furry dogs at my feet. But after a couple of minutes, I started to move with crowd. The first thing I did was buy coupons so I could get some water and food for later. After watching the trapeze artist for a while and listen to the bands, I started to look at the art. Being a realist, it has always been difficult for me to understand art and its purpose. After Saturday, I realize art is made for you to feel something, whether that is to smile, laugh, or think. Along with seeing the art, it was fun to look inside the air conditioned antique stores. One store that I had a blast in was Dallas Pinup: a vintage clothing store. Inside were racks of adorable 50s cupcake dresses and form fitting, leather jumpsuits. 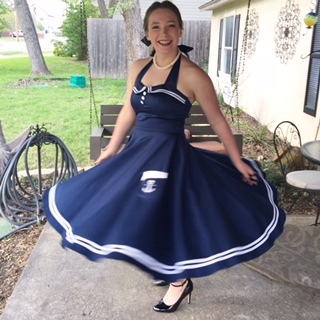 With the swim banquet the next day, I purchased an adorable navy and white sailor dress. Back outside was more art to see. But it wouldn’t be fun to peruse art in the hot sun for hours without a cold beverage in your hand or an ice cream. I made sure to get both to complete the experience. I will definitely go to next year’s festival but I will make sure to bring my dog and a pair of sunglasses.